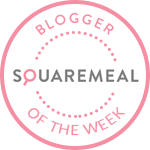 Emily's Recipes and Reviews | UK Food Blog | Leicestershire : pesto salmon and kale wholemeal spaghetti. A super simple dish which makes for a great evening meal. Packed with veggies, delicious pesto salmon and wholemeal spaghetti, this kale pasta dish is three of your five a day. Summer comfort food, if you will. Want to switch out the veggies? I just found this NHS 5 a day fruit and veg guide which is rather handy for working out healthy portions. Step one. Coat your salmon in 1 tbsp pesto and wrap in tin foil. Place on a baking tray alongside the red pepper and bake in an oven on 180 degrees for 15 minutes. Step two. Cook your spaghetti according to the packet instructions in a large saucepan. This usually takes around 10-12 minutes in boiling water. Step three. In the last five minutes of cooking the spaghetti, toss in the kale and peas and allow to wilt. Step four. Drain the pasta, kale and peas. Add in the roasted red pepper. Step five. Stir through the remaining pesto. Step six. Gently break up the salmon into large flakey chunks and stir through the dish. What are your go-to quick and easy recipes where you need some healthy veg? Or favourite recipes with kale? This looks so good! I need to give wholewheat pasta a try sometime soon - am I too optimistic in hoping it will fill me up more than the white stuff?! I love your pasta dish, so many lovely flavours and I do enjoy my kale. I add it to most things as I love it raw & lightly cooked. Thanks for mentioning my salad!